Speaking during a Trade Mission in Toronto yesterday, Taoiseach Leo Varadkar outlined plans for the doubling of Ireland’s Global Footprint by 2025. This means new and augmented diplomatic missions and as well as significantly increased resources for investment, tourism, cultural and food agencies overseas. Minister for Foreign Affairs and Trade Simon Coveney will begin consideration of what this means for Ireland’s diplomatic missions, and later this year government will approve the specifics of what Ireland’s doubled presence overseas will look like in 2025. This new plan, Ireland’s Global Footprint 2025, will set out milestones between now and then, and will clearly articulate the benefits from this initiative: greater investment, tourism and trade; stronger links with our diaspora and increased cultural exchange. The Taoiseach pointed out that Canadian investment in Ireland is estimated today at $14 billion (Canadian) dollars. 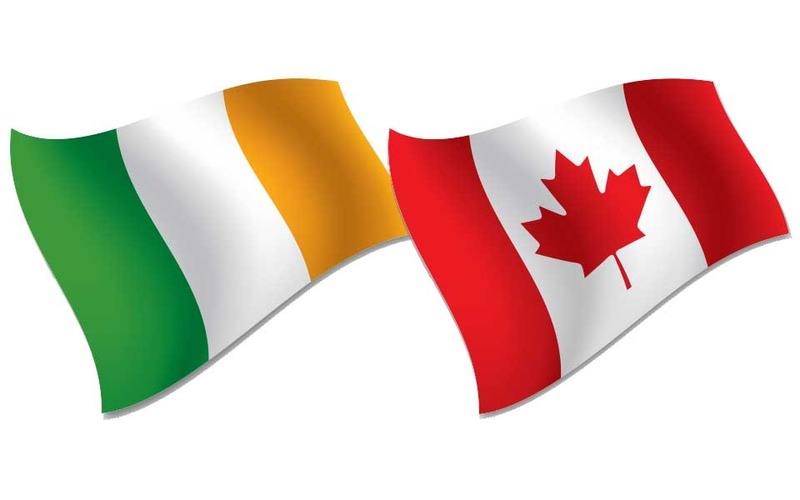 Foreign Direct Investment from Canada to Ireland has been buoyant in recent years and at the end of 2016, IDA Ireland had 28 Canadian companies in its client portfolio, employing over 3,100 people in Ireland. It is planned to grow this inward investment significantly in the years to come and these efforts will undoubtedly be helped further by the entry into force of CETA. On September 21st, CETA comes into effect on a provisional basis. More than 98% of the tariff barriers to trade between Canada and the EU, including Ireland, will be removed. For the first time, our procurement markets will be opened to each other, regulatory barriers will be eased and market access rules will be made more transparent. Recent research by Geoscience Ireland illustrates the potential of the Canadian market for Irish consulting environmental, geotechnical and civil engineering firms. Between 2009 and 2017, Canadian public procurement acquired geotechnical services worth nearly $18 million dollars in 313 separate contracts. So far in 2017, various federal organisations have procured nearly $4 million worth of geotechnical services, in 14 separate procurement calls. “Geoscience Ireland is a network of 33 companies supported by GSI and Enterprise Ireland in winning business in overseas markets. Since its inception 5 years ago, GI has received enormous support , advice and encouragement from Enterprise Ireland and the Department of Foreign Affairs in developing business in the UK, the Gulf Region, Eastern Europe and Sub Saharan Africa. GI has participated in Trade Missions and Market Study Visits, Inward Buyer Visits in relation to all these markets and has always valued the “Team Ireland” approach of the various agencies involved. Ireland and Canada have well established links in mineral exploration and mining extending over 50 years and this relationship involves significant inward investment from Canada to Ireland.